Modern UN Peace Support Operations (PSO) have a high degree of operational complexity, and most are conducted in austere, postconflict, and oen hostile environments. Mission integration amongst various UN organizations and contributing nations is an essential element of success, because different PSO actors have different roles, deployment time-lines, procedures, budgetary pressures and supervising authorities. erefore, it is only by pursuing an integrated approach that short-term, political or security gains can be balanced against the longer term developmental, humanitarian, and social objectives needed to create sustainable peace. Defence and Foreign Affairs, tasking them to re-engage Canada in UN peacekeeping. This re-engagement – being “back” – would be a major undertaking since Canada has had an illustrious history in peacekeeping. Re PM Defends Canada’s Peacekeeping Plan (Nov. 16): Canada’s “traditional military role” is not peacekeeping, it’s war-fighting. The role of peacekeeping involved a relatively small percentage of Canada’s armed forces from the mid-1950s through to the end of the 1980s, a time when Canada maintained a mechanized infantry brigade group and an air force fighter division in Europe, and naval forces in the North Atlantic in an anti-submarine role, all armed and prepared to fight a high intensity battle against potential aggressors. Because these troops were professionally trained for war, they were highly effective in the decidedly secondary role of peacekeeping, a good thing when peacekeeping morphed into a much different task during the Balkan wars of the 1990s. Politicians, of course, favour peacekeeping as a role for the forces, as the costs are significantly less than the ever-more expensive weaponry that forces need if they are to play an effective part in maintaining peace in the world. Some Canadians still get misty-eyed over the concept of our soldiers, sailors, airmen and police officers wearing blue or orange berets and standing bravely between warring sides while diplomats and politicians work out peace agreements. Canadians are rightly proud of what our armed forces have achieved, in war and in peacekeeping, but they shouldn’t be misled as to what the traditional role of the military is and always has been. Re: How Canada lost its way on peacekeeping. Nov 18. The author renders a thoughtful analysis of peacekeeping. The problem is that several realities remain hidden. 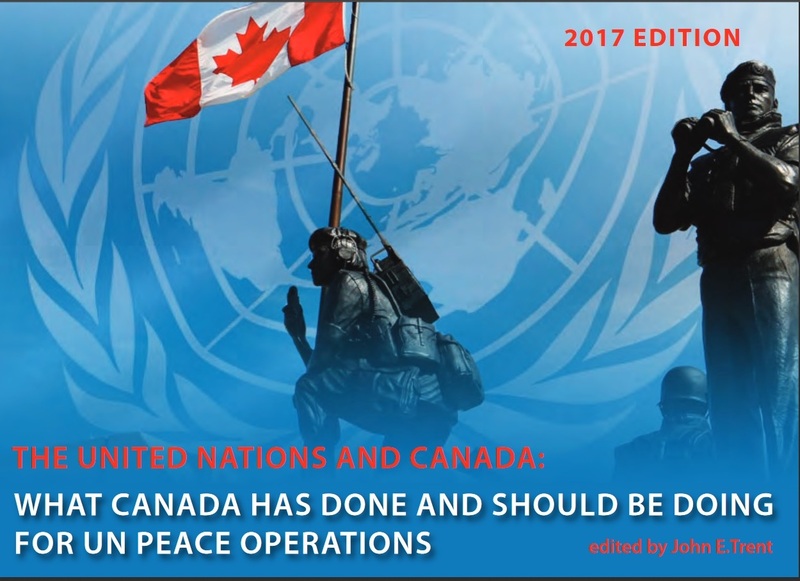 The first is that peacekeeping has always been ineffective in keeping the peace but, in the case of Canada, that has not prevented generation of a myth that the world worships our achievements in that field. In fact, we are regarded as laggards who use it as an excuse for avoiding commitment of troops to combat operations. Even Lester Pearson expressed deep disappointment when his UN force in Egypt was blown away in 1967. It is significant that Prime Minister Justin Trudeau is proving to be his father’s son in these matters. Both are pacifists and refuse to commit Canadian armed forces to combat operations, while mouthing the shibboleths of soft power. They then deploy token forces overseas to conduct low-key training activities. The latter have roles to play, but only after enemies have been defeated by hard power. Nations that ignore this reality soon vacate the world stage. The fate of Rome and other empires is instructive in these matters. I tend to agree with the De Chastelain and Henry perspectives. As well, I agree with Greg Mitchell that if we send out PK troops (not just trainers, log and air support, mentors — but troops actually committed to frontline PK Ops) then we need the whole of Govt approach (nationally and internationally) Without it, the process tends to wither and fail, becoming eventually only a political rationale for putting out light forces that (apparently, according to some media and some in Govt) cost little to train, equip and support. Critically, no matter what happens down the line with PK Ops and the CAF, no one in Govt or media should ever continue to believe that such work requires something lesser than fully qualified, trained and equipped armed forces.